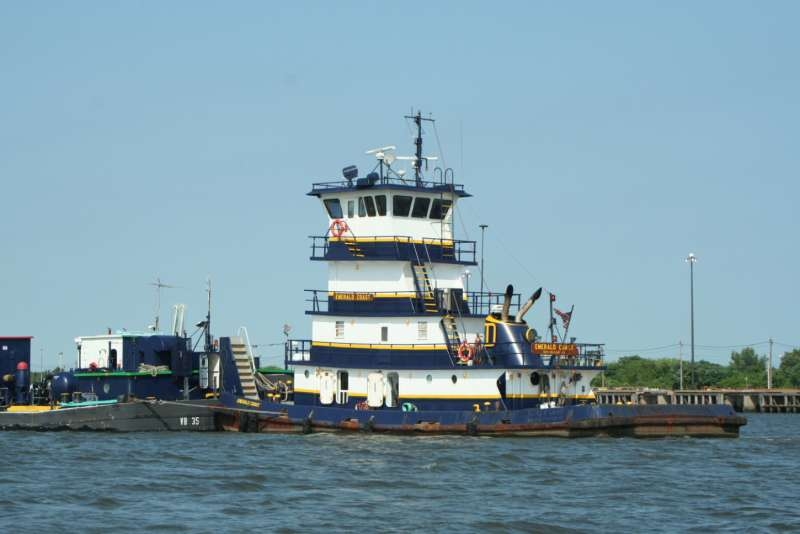 Built in 1973, by Main Iron Works Incorporated of Houma, Louisiana (hull #280) as the Maggie Swann for Furlough Incorporated of Roper, North Carolina. 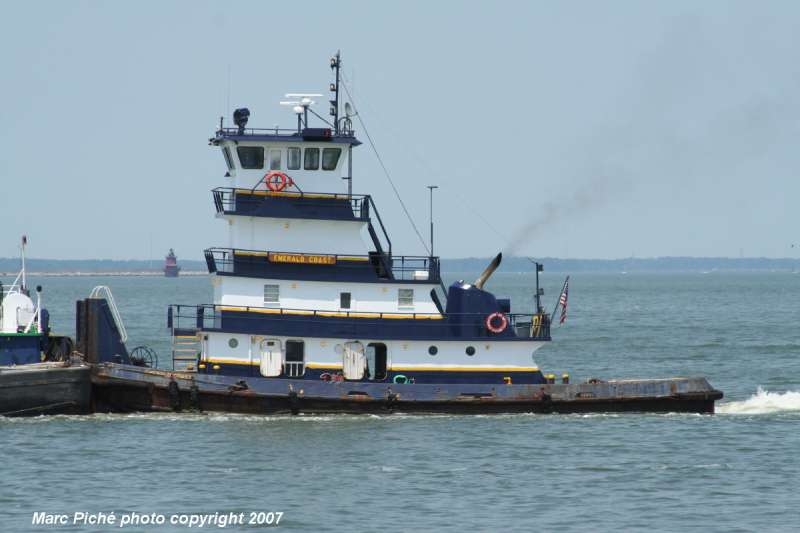 In 2005, the tug was acquired by the Dann Marine Towing Company of Chesapeake City, Maryland. Where she was renamed as the Emerald Coast. 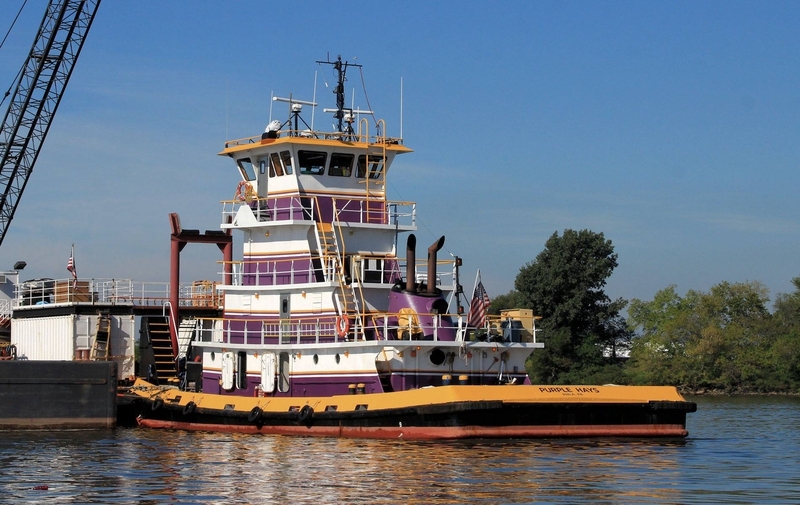 In 2018, she was acquired by the Hays Tug and Launch Company of Wallingford, Pennsylvania. 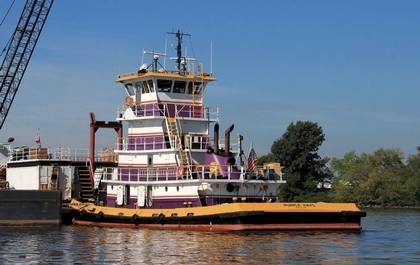 Where she was renamed as the Purple Hays. 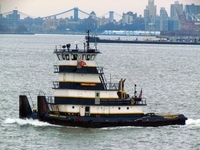 Powered by two, Caterpillar 3508 diesel engines. With ZF BW361 reduction gears, at a ratio of 6.16:1. Turning two, four bladed, stainless steel 64(in) by 58(in), fixed pitch propellers. For a rated 1,700 horsepower. Her electrical service is provided by one, 40kW Delco generator set. Driven by a Detroit Diesel 3-71 diesel engine. And, a 40kw Magna generator set on the starboard side. Driven by a Detroit Diesel 3-71 diesel engine. 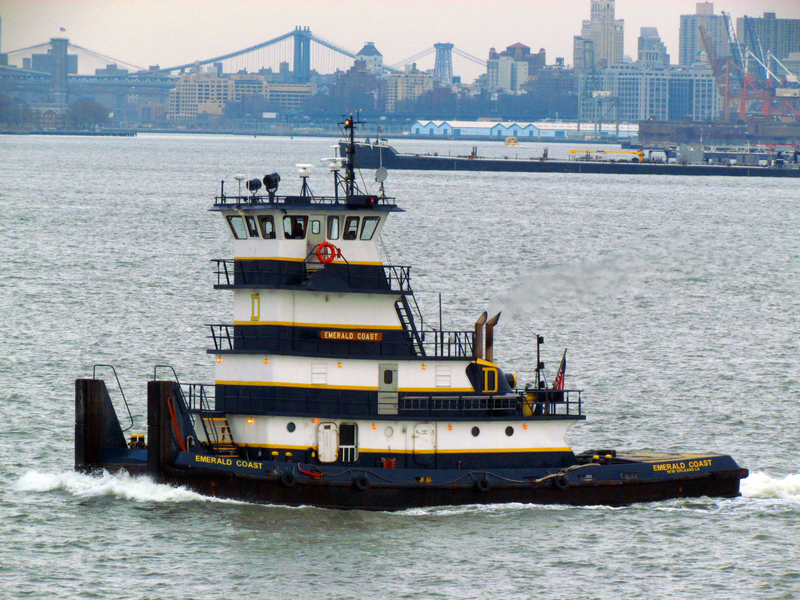 Her capacities are 22,520 gallons of fuel oil, 644 gallons of lube oil, 400 gallons of waste oil, 11,066 gallons of water. 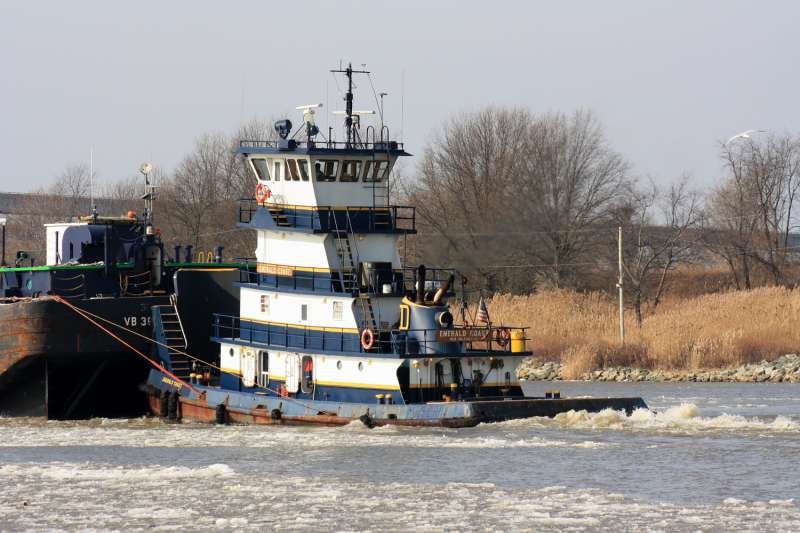 Her towing gear consists of two, 40 ton bow mounted Nabrico winches, outfitted with 1 1/8(in) wire.